Cars are parked in driveways. Roads are paved. Patio furniture is in place. Shoppers meander up and down aisles inside Whole Foods. Someone is getting a buzz cut at Floyd’s 99 Barber Shop. Mendocino Farms is in the middle of a lunch rush. Nearly every shop and restaurant space is open at the Village at La Floresta, an 87,000-square-foot retail center at Imperial Highway and Valencia Avenue. 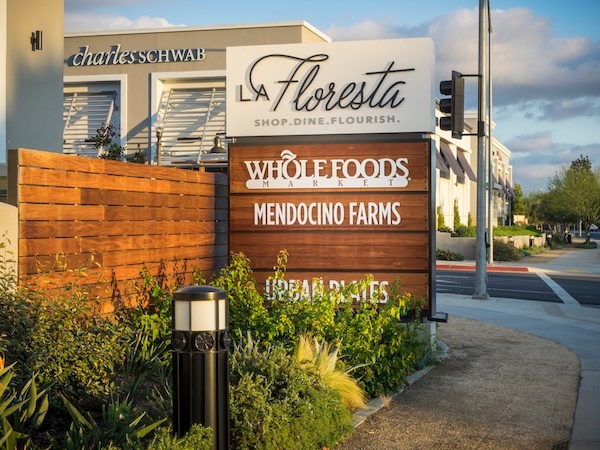 Besides Whole Foods in north Orange County, tenants include Jimmy’s Famous American Tavern, Slapfish, Orangetheory Fitness, CorePower Yoga, Urban Plates, Mendocino Farms, Capital Noodle Bar and Stitch and Feathers. This is an excerpt only from this full article on The OCRegister.com.